Whether moving your family across town or across the country, moving is stressful to say the least. 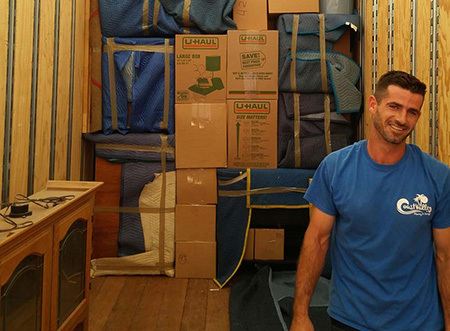 Keep your family happy and your sanity intact by hiring an experienced Trabuco Canyon movers. Coast Valley Moving & Storage, Inc. has mastered the relocation process in Trabuco Canyon, Orange County – and across the country! We have decades of experience expertly coordinating residential moves of all scopes and sizes while offering customers the best in moving resources and customer support for a relocation experience like no other! If you’re looking for full-service movers in Trabuco Canyon, then Coast Valley Moving has what you need. We offer a wide-range of residential relocation solutions for moves of any distance, size, and complexity. Trabuco Canyon Local Movers. Make your local move as simple and seamless as possible with our team of detail-oriented movers! Long-Distance Movers. We offer everything you need for a stress-free long-distance move including custom packing, crating, delivery, storage, and more. Interstate Movers. Moving between states doesn’t have to be a hassle. We can manage every detail so you can focus on more important matters. Military Movers. Get the solutions you deserve when you trust our military moving team. We are proud to serve your every need! If you’re searching for Trabuco Canyon movers who delivers masterful solutions for your residential relocation, then consider your search over! Get the resources you require and experience you can count on when you trust your move to Coast Valley Moving!